So turns out that I wrote the majority of all my blog posts while I was wasting away of boredom at my old job. Now that I have a new job I have way way less free time lol. But I have a moment now so I figured I’d slap something up. I had a fairly whirlwind weekend this past weekend…which was a nice change of pace. On Saturday afternoon my bestie and I went to this cool terrarium making party at a local glass shop where she blows glass (I hang with a talented crew lol). We got to make wet and dry terrariums. 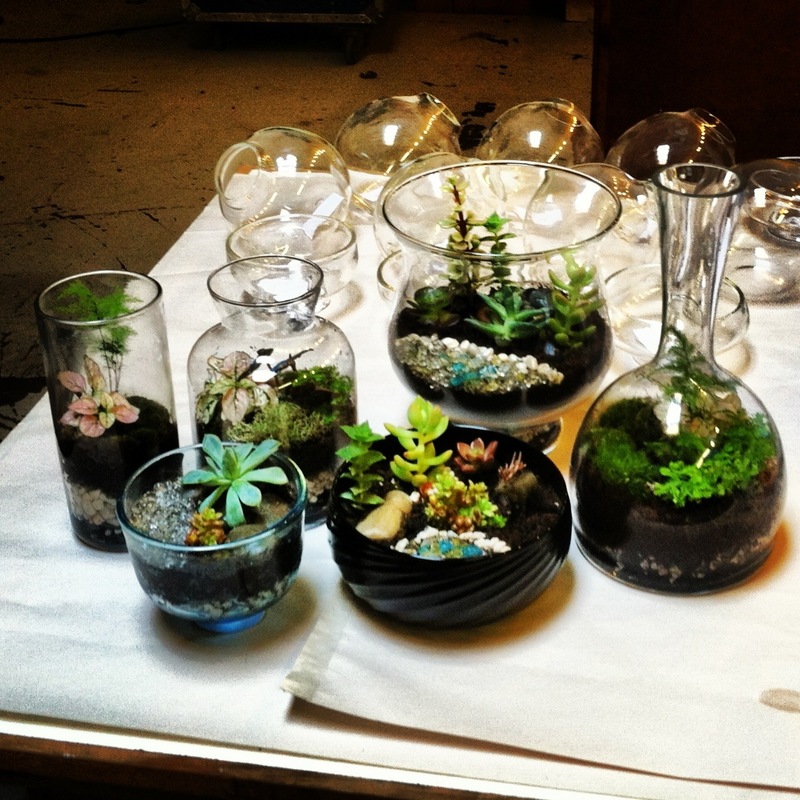 NOTE: every single time I think or say terrarium I confuse it with a house for spiders…I think they sound the same). Anyhow–I was pumped because a wet terrarium is essentially creating a Jurassic Park type scene in a jar! Spoilers mine has a pterodactyl in it! Boom. It was our other friend K’s birthday this weekend so we had some extra fun activities planned. 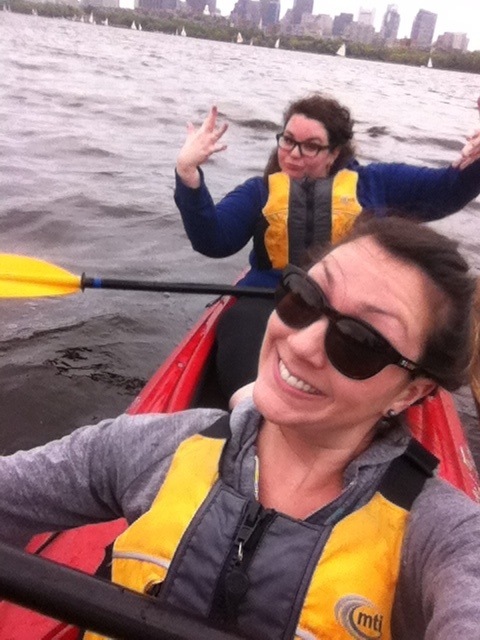 We spent a fun hour kayaking on the Charles River. It was a murky chilly type day but it was really fun. We couldn’t really continue the party because we all soaking wet, but a bunch of us met up later that night to eat tacos and watch Game of Thrones. My contribution was cupcakes. But not just any old cupcakes…these were the stuff 90s kids dreams are made of. 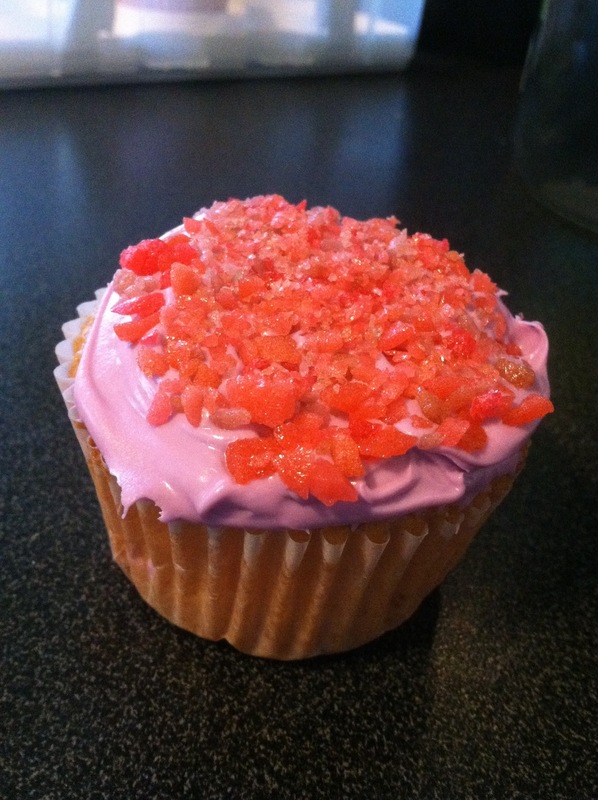 They were vanilla cupcakes with purple frosting and pop rocks on top! You can hear them snap crackle and pop on you plate…and then comes that creepy-but-awesome blitzkrieg of pop that happens the second they hit your mouth lol. They were really fun!